We’re used to hearing stories of triumphant Olympians overcoming all odds to achieve their dreams. But for many, staying afloat financially is a lesser-known hurdle as they ski, skate, jump, flip and twirl their way to gold. NerdWallet talked to athletes competing in the 2018 Games in Pyeongchang, South Korea — and one former Olympian — about all things money: how they make ends meet; the financial products they use; and their money stressors, challenges and sacrifices. Olympic experience: Four-time Olympian (2006, 2010, 2014 and 2018). How she earns a living: Sponsorships with businesses including Mammoth Mountain Ski Area in Mammoth Lakes; prize money; and income from the duplex that she owns and rents out. 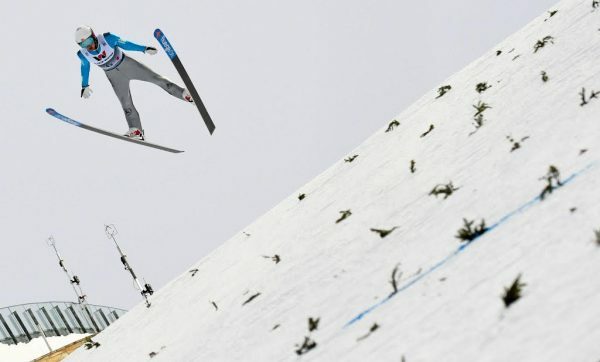 How funding on the ski team works: The U.S. ski team covers ski and travel costs for the top U.S. skiers — a group called the A team, which Cook is on. Athletes on lower-level teams, some of whom still make it to the Olympics, have to pay to be on the team. How sponsorships work: Each contract is unique, but athletes typically earn sponsor money in two ways, Cook says. There’s a retainer, or a sum an athlete gets paid for signing a sponsor contract; and performance incentives, or money an athlete gets based on his or her ranking in the sport. Just for fun: She enjoys listening to podcasts including NPR’s quiz show, “Wait, Wait, Don’t Tell Me” and the “BiggerPockets Podcast,” which is about real estate investing. Olympic experience: Silver medalist in the 5,000-meter relay at the 1994 Games in Lillehammer, Norway. Now retired. 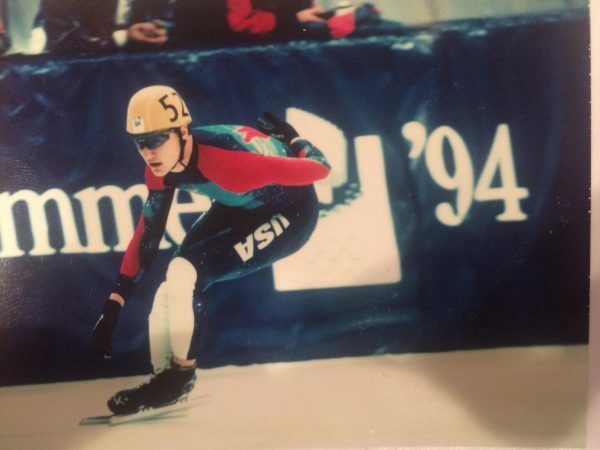 A past money mistake: Coyle amassed $87,000 in credit card debt during his speedskating career. He had 37 cards at one point, he says. How he tackled his debt: Coyle consolidated it and worked with a debt settlement company to negotiate down the total amount he owed. But although that strategy works for some people, debt settlement is risky. Chapter 7 bankruptcy or a debt management plan are almost always better options. Olympic experience: Three-time Olympian (2010, 2014 and 2018). 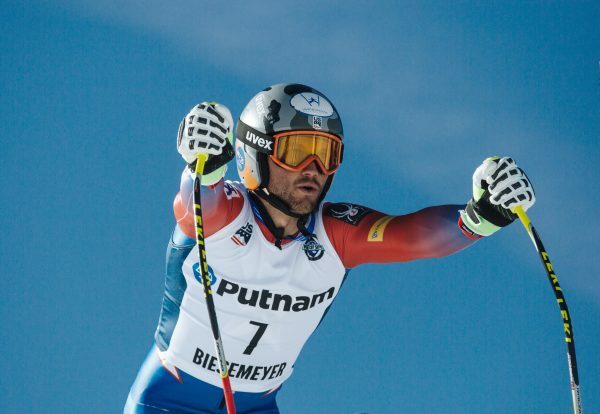 What it means to be an independent athlete: McJames was cut from the U.S. ski team in 2012, but has continued competing internationally anyway. Without the team’s financial support, she’s responsible for covering 100% of her training and competition costs. How she covers skiing and living expenses: Private donations, grants, sponsorships, fundraising, prize money and part-time work as a coach in the summers. What she wishes fans knew about the financial realities of the sport: She estimates costs for U.S. ski team members who have to pay to be on the team range from $15,000 to $25,000 per season. As an independent skier, her costs are even higher. Biggest money stressor: Her budget for one season of independent racing in the World Cup circuit during a non-Olympic year is $50,000, not including coaching. She hasn’t had a full-time coach since she’s been skiing independently. Just for fun: She likes listening to singer Josh Ritter to calm her nerves before a race. Olympic experience: The 2018 Pyeongchang Games is his first Olympics. Just for fun: If it’s an option, he likes to eat baby back ribs before a race. He ate them before winning a state championship race in 2012. Olympic experience: The 2018 Pyeongchang Games is her first Olympics. 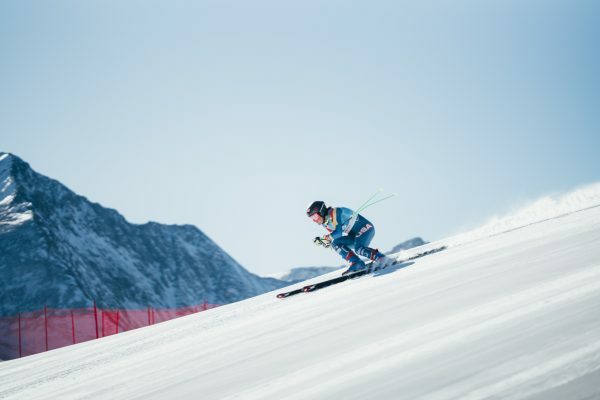 How she has covered skiing and living expenses: Prize money, fundraising events, income from part-time jobs and crowdfunding on athlete crowdfunding site RallyMe. Past part-time jobs: Busing restaurant tables, cleaning houses. What she wishes fans knew about the financial realities of the sport: For Kauf’s ski event, moguls, only the best U.S. athletes get funding for travel costs during competition season. As a top U.S. mogul skier this year, Kauf was funded. Some of her teammates who are also competing in Pyeongchang have to pay their skiing travel costs out-of-pocket, however. Just for fun: She always listens to “Amazing” by Kanye West in the start gate before a competition. How he covers skiing and living expenses: Fundraising, donations and help from his parents. How he has saved on rent: Storing his belongings in a storage unit while he’s traveling for competitions, and staying with friends when he returns to Park City, Utah, where he trains. Favorite credit card: The Chase Sapphire Preferred® Card, because it has travel bonuses and no foreign transaction fees. Just for fun: His warmup playlist includes “Man of the Year” by Schoolboy Q, “Rap God” by Eminem and “Highway to Hell” by AC/DC. 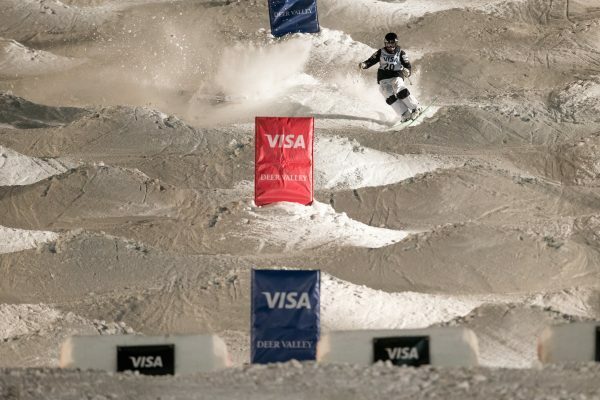 Olympic experience: Two-time Olympian (2014 and 2018) competing in the halfpipe event. How she earns a living: Prize money and sponsorships with companies including Monster Energy and Giro, a sports accessories company. Biggest financial stressor: Booking plane tickets for ski competitions in places like Europe and New Zealand. She uses an American Express Delta credit card to earn miles and get free checked bags. What skiers can win in prize money: $10,000 to $25,000 for first place, depending on the competition. Just for fun: Recently, she’s been listening to the electronic song “Jubel” by Klingande before competitions. How he covers skating and living expenses: Performance-based stipend from the U.S. Olympic Committee. What he wishes more fans knew about the financial realities of the sport: U.S. Olympic athletes are not government-funded. Olympians in most other countries receive financial support from their government, according to the United States Olympic Committee. Just for fun: Whitmore tries to eat Chinese food the night before a race. “That seems to be a good-luck charm,” he says. He also drinks cherry juice before bed. Olympic experience: Five-time Olympian (2002, 2006, 2010, 2014 and 2018). How she covers skiing and living expenses: Sponsorships with businesses and organizations including Alaska Seafood, L.L. Bean and Kashi. Favorite credit cards: Airline credit cards, since she travels so often for races. She has cards that earn miles with Delta Air Lines, United Airlines and Alaska Airlines. A financial challenge of parenting as an athlete: Covering child care for her baby son, Breck, while she’s competing overseas. Family members typically watch him, which is free, but Randall pays for their travel costs. Just for fun: Kikkan loves drinking chocolate milk after a race. How he covers bobsledding and living expenses: A mix of crowdfunding, income from a part-time job and a stipend from the U.S. Olympic Committee. Biggest money sacrifice: Giving up a full-time job with good benefits to pursue his dream of becoming an Olympian. Just for fun: Kinney loves Korean food. His favorite is a pancake-like dish called pajeon. Olympic experience: Two-time Olympian (2014 and 2018). How she covers skiing and living expenses: Sponsorships with businesses including Saltchuk, a transportation and distribution company in Seattle, and Delta Constructors, a construction management company in Anchorage, Alaska. Earlier in her skiing career, she worked part-time as a nanny. What she nerds out about: Tax policy in various countries. Just for fun: Bjornsen braids her hair before every race. Olympic experience: Two-time Olympian (2014 and 2018). 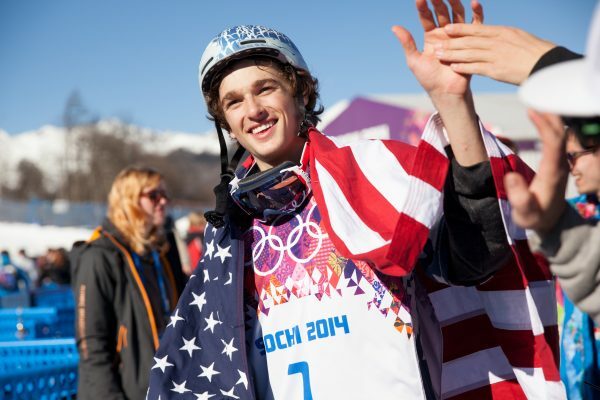 Olympic bronze medalist in the slopestyle event at the 2014 Sochi Games. How he makes a living: Sponsorships with companies including Red Bull, PowerBar and Nike. Just for fun: “My kryptonite is chocolate chip cookies — I love chocolate chip cookies.” He says his grandmother’s are the best.